Often when we’re presented with facts about the environment, the numbers used can be so astronomically high, and the language so confusingly jargon-ish, that its tough for the average reader to care about the message. In an attempt to avoid that type of article, I’ve compiled 10 interesting facts to consider this Earth Day — the first five somewhat frightful, the last five providing a cause for celebration. 1. Many scientists say the Earth is 4.6 billion years old. For the sake of context, let that represent the life of a 46-year-old woman. She met humans (homo erectus) six to seven days ago, the Agricultural Revolution was just 52 minutes ago, and the Industrial Revolution started one minute ago. 2. 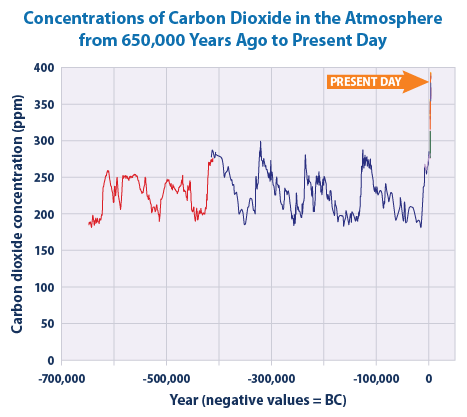 When critics point out that normal fluctuations occur that create climate change — regardless of human interference — they are right. But that doesn’t change the fact that what we’re seeing today is unprecedented, and there’s likely more at play than normal global cyclicality. 3. 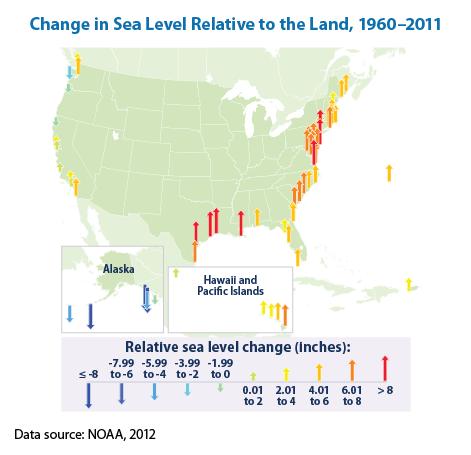 Between 1960 and 2011, the sea level has risen between one and eight inches in many East and Gulf Coast locations. 4. Flying creates enormous amounts of carbon emissions. When I calculated my own carbon footprint first without and then with the four flights my wife and I took over the past year, our footprint increased 31%! United Continental Holdings Inc (NYSE:UAL) has already begun experimenting with biodiesels to offset this effect, with Solazyme providing some of the fuel. Check out your own footprint here. 5. Costa Rica has been named the happiest country in the world by the New Economics Foundation. Three variables were measured: self-reported happiness (on a scale of 1-10) was multiplied by average life expectancy, then divided by the average ecological footprint per capita. The United States came in 105th. 6. The Procter & Gamble Company (NYSE:PG) has a goal of converting 70% of all washing machine loads to cold water by 2020. If everyone used cold water for laundry, CO2 emissions in the U.S. would fall a full percent, and with companies devising detergents that are designed for use with cold water, more people are making the switch. 7. Recycling creates six times as many jobs as landfilling. That’s consistent with the success that Waste Management, Inc. (NYSE:WM) has had in transforming itself from primarily a landfill operation to become the nation’s top residential recycler, as it has continued to find new ways to profit from trash in a more environmentally friendly manner.